Health geographers are increasingly turning to a diverse range of interpretative methodologies to explore the complexities of health, illness, space and place to gain more comprehensive understandings of well-being and broader social models of health and health care. Drawing upon postmodernism, many health geographers are concerned with issues of representation, the body and health care policy. Also related to an emphasis on the body is the growing literature in feminist health geography that investigates the metaphorical, physical and emotional challenges of the body and disease. Reflecting these interests, the chapters in this book set out the host of creative qualitative methods being used to explore the psychosocial experiences of individuals more directly, using such traditional methods as in-depth interviews and group discussions, participant observation, diaries and discourse analysis, but also more novel techniques such as 'go-along interviews’, reflexive writing, illustrations, and photographic techniques. There are several areas of qualitative research unique to geographers which figure prominently in this volume including: health and place, comparative case study analysis, and qualitative approaches to the use of geographic information systems (GIS). This collection brings together a wide range of empirical concerns related to questions of health and shines a light on the diversity of qualitative methods in practice. 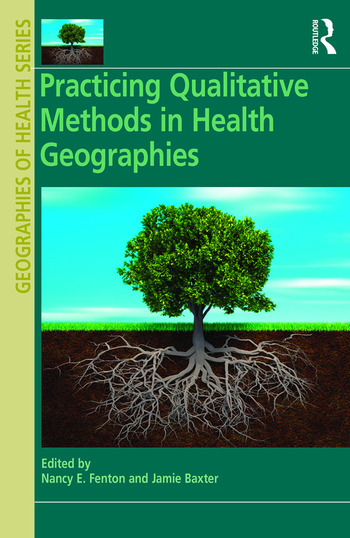 Illustrating how qualitative methodologies are used in diverse health contexts this book fills an important niche for health geographers but will have wide appeal to health and geographic researchers. 8. What Can Participant-Generated Drawing Add to Health Geography’s Qualitative Palette? Nancy E. Fenton is Adjunct Professor in the School of Public Health and Health Systems at the University of Waterloo, Canada, involved in interdisciplinary qualitative health research investigating the relationship between the environment and health as it relates to risk perception, particularly among children and youth. Jamie Baxter is Associate Professor in the Department of Geography at Western University, Canada. His research interests include: the social construction of risks from technological hazards, community responses to hazards, environment and health, noxious facility siting and social science research methodology.